These Mini Glass Favor Bottles have a swing top and add a pop of color to your tables! 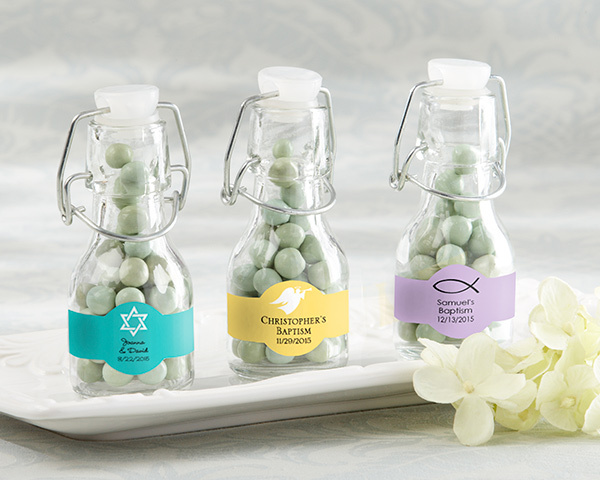 Fill them with candy and design your personalized label to complement the decor at your religious event, milestone, or holiday. Whether celebrating a Bar or Bat Mitzvah, Baptism, Christening, or First Communion, there are design options for all.